On the porch of farmhouse turned inn Chiiori. 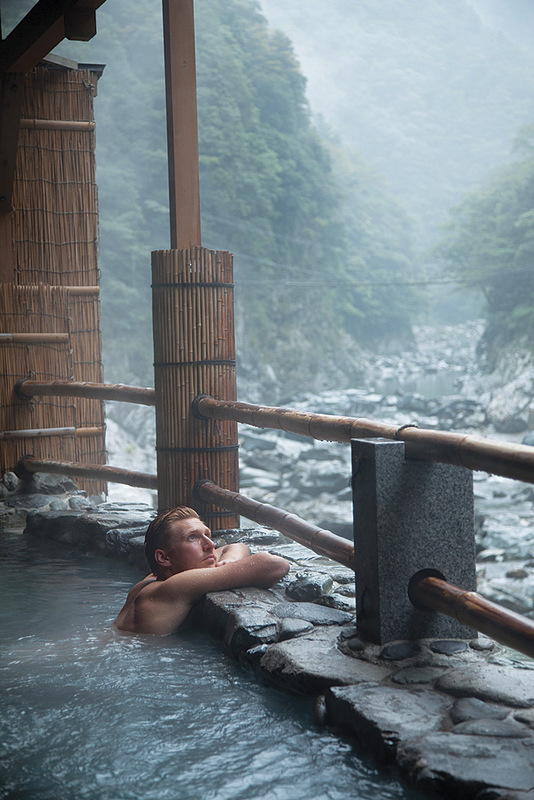 Enjoying an Iya Valley hot-springs bath. Alex Kerr first came to Japan as a 12-year-old schoolboy in 1964, when his father, an American naval officer, was posted to Yokohama. He would go on to major in Japanese studies at Yale before returning to the Kyoto area to pursue his passion for Japan’s traditional arts, eventually penning a collection of essays entitled Utsuku-shiki Nihon no Zanzo (“Last Glimpse of Beautiful Japan”; later republished in English as Lost Japan), which won the Shincho Gakugei Literature Prize for nonfiction in 1994, the first time the prestigious award had been given to a foreigner. The book, however, was no travelogue. In it, Kerr lamented the ugly aspects of Japan’s modernization—the neon and the concrete, the pachinko palaces and neon profusion, the abuse of the natural environment. Despite his criticisms, however, there was clearly much about the country that Kerr loved, particularly the 300-year-old farmhouse that he had purchased in Shikoku’s remote Iya Valley, on the front lawn of which I was now standing. Set above the hamlet of Tsurui, the house—now an inn and something of living museum —is of typical Iya construction, thatch-roofed and low-slung with thick beams and rafters turned black from centuries of fires from a central irori, or charcoal-fired floor hearth. With the help of friends Kerr finished restoring the building in the late 1980s and called it Chiiori (“House of the Flute”). He later established the Chiiori Trust to champion the regeneration of Japan’s rural areas through sustainable tourism, traditional agriculture, and a program of farmhouse accommodation. I came to the Iya Valley on Shikoku—the smallest and most traditional of Japan’s four main islands—because I wanted to see what Kerr’s “lost” Japan looked like. Once a sanctu-ary for bandits and disgraced warriors, villages in the island’s rugged interior still tumble down hillsides so steep, amid cedar forests so dense, that it’s easy to understand why 16th-century parents, worried their children might wander into the woods never to be seen again, began weaving folktales about terrifying forest creatures—the dreaded yokai—who loved nothing better than to gobble up stray boys and girls. The gorges here are Japan’s deepest, the ravines the country’s steepest. One mountainside village I visit, Ochiai, is laid out so precipitously that from the lowest of its well- preserved Edo-era houses to the highest, it’s a climb of almost 400 meters. Not for nothing has the Iya Valley been called the “Tibet of Japan,” and it was to this mountain fastness that refugees from the great 12th-century clan struggle remembered as the Genpei War fled. 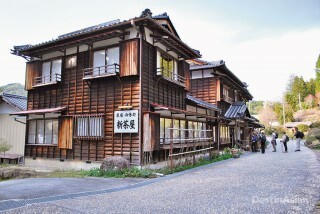 Many Iya residents are descendants of the defeated Heiki clan, and speak a dialect that bears traces of the court language of the classical Heian period. Another remnant of those times are the three wisteria-vine bridges that span the Iya River, designed to be quickly cut in the case of attack. A more immersive history lesson awaits at Chiiori, where guests are welcome to participate in Kerr’s back-to-basics vision. This might mean helping to repair a part the farmhouse’s shaggy thatched roof, collecting firewood, gardening, tending to the vegetable patch, house cleaning, even shoveling manure. 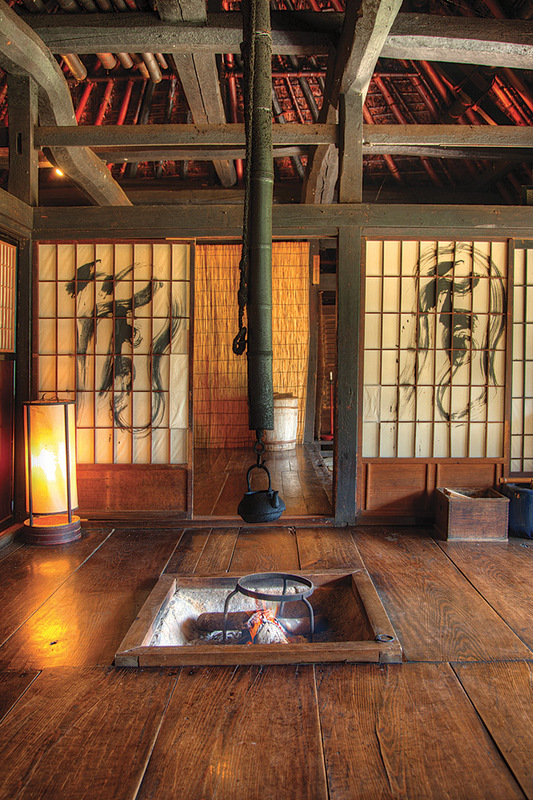 From Chiiori’s well-stocked kitchen, complete with fridge and gas cooker (visitors are also expected to cook for themselves), I walked in slippered feet through an open shoji screen and into the house’s expansive main room, which at night serves as sleeping quarters with fu-tons rolled out around the hearth. Opposing hills were joyously framed through an open veranda, rising above a steeply chiseled gorge that every morning brings heavy mists to the precipice on which Chiiori sits. I ran my hand over the house’s beautiful keyaki-wood floorboards, fashioned from a type of elm that is still prized by Japanese artisans for its beautiful grain. Every time I took a step, the floor seemed to creak with pride. 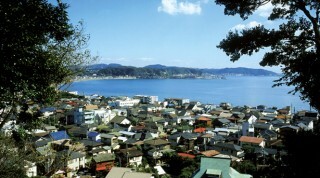 Even beyond the bucolic surrounds of its mountainous interior, Shikoku offers a glimpse of a bygone Japan. One reason is its declining population: many young islanders leave to seek work in cities like Osaka and Kobe. Villages are thinning out, class sizes are falling in the schools, and rural roads can sometimes be strangely empty of cars. Near the laid-back city of Kochi on the island’s balmy south coast, I spotted just one lone surfer off a fabulous white-sand beach on a gorgeous, baking- hot autumn day. You’ll slow down on Shikoku and maybe, like me, learn how to slice and grill a bonito (skipjack tuna) like a master, or to cut buckwheat noodles into perfect strands. At an indigo farm, I made my own indigo handkerchief by dipping a cloth in a vat of the blue dye that they told me they had been making here since 794. Seven ninety-four! And trams, almost entirely abandoned throughout Japan in the 1960s in the mad rush to modernize, still run in Kochi, which is also home to Kochi Castle, one of only 12 medieval castles in the country to have survived intact. On an island where Japan’s old ways of life can seem everywhere tangible, there’s an equally rich vein of Buddhist heritage, which can be appreciated by visiting some of the shrines on its famous 88 Temple pilgrimage circuit. Encircling Shikoku, the 1,647-kilometer route was established by the reclusive monk and scholar Kobo Daishi in the ninth century and takes two months to complete on foot, providing you don’t skip some of the tougher-to-reach temples. I’m told that it attracts more than 100,000 pilgrims annually, though they mostly travel by bus. Less spiritually inclined outdoor enthusiasts can content themselves with white-water rafting on the Yoshino River, said to be Japan’s cleanest, or with taking a boat down the tranquil Iyo River, where chiseled embankments of crystalline schist glisten at the base of cliffs hundreds of meters high. There are also canoeing and cycling options along the Shimanto River through rural hamlets where the only tourists you’re likely to see are the Japanese themselves, who have long appreciated the island’s natural appeal. On the last night of my visit, over a plate of unspeakably delicious barbecued eel, my Shikoku-born guide gushed to me about her love of kyudo (Japanese archery, the so-called “martial art for the mind”). “You should come to the dojo with me next time,” she beamed. And I thought to myself: Sure, I’ll just add it to my to-do list for my next Shikoku sojourn —right beneath exploring the coastal limestone caves near Kochi, braving one of the Iya Valley’s precarious-looking vine bridges, gorging myself on more barbecued eel, and maybe, just maybe, managing to miss my flight home. 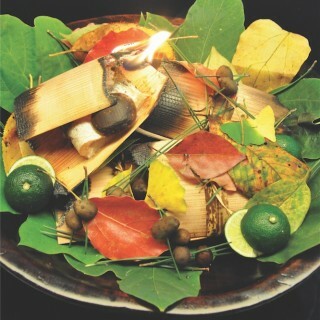 An insider’s pick of Kyoto’s top 10 bets for an unforgettable meal. 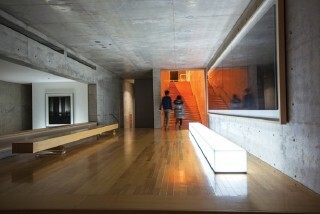 With works by artistic greats, past and present, the Japanese island proves a treasure trove. 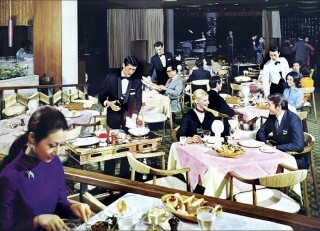 The days are numbered for this landmark hotel, where echoes of 1960s glamor have long resided. 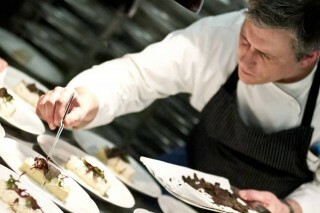 Autumn brings seasonal menus and guests to the hotel. 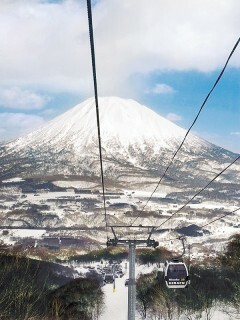 It’s a place of serene temples and beautiful scenery—and it’s just down the tracks from Tokyo.